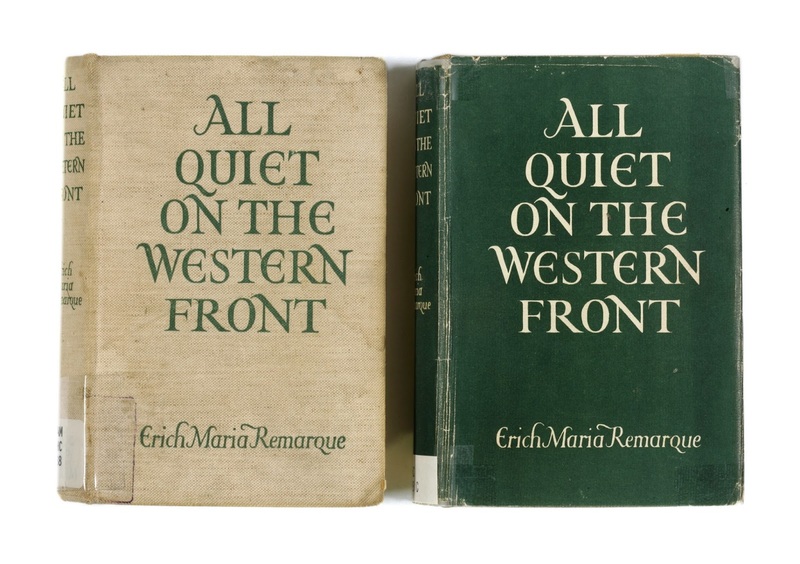 Remarque’s novel soon caused controversy among patriotic ex-servicemen, moralists and right-wing politicians in various parts of Europe and America. 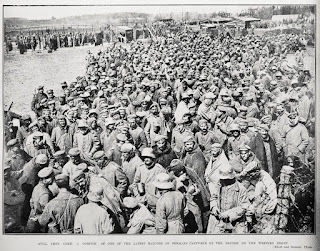 However when the book was considered for accession to New Zealand public libraries All Quiet on the Western Front stirred up new controversy of quite another kind. The librarians of the Auckland, Wellington and Dunedin public libraries decided the novel’s language was coarse and lurid; it was immoral and amoral and that it contained plain and frank descriptions of sexual activity, bodily functions, human depravity and the shocking naked truth of war’s brutality which was likely to be injurious to the morals of women and children. However the Dunedin librarian, Mr W.B. McEwan, did concede that his adult male readers should be able to cope with the book. Ref: Auckland Weekly News, New Zealanders engaged in filling sandbags in one of their trenches on the Western Front, 25 January 1917, Sir George Grey Special Collections, Auckland Libraries, AWNS-19170125-39-3. Auckland Public Library’s decision to ban All Quiet on the Western Front was probably made by an unofficial book-selection committee of academics, senior journalists and businessmen who met with the Chief Librarian, John Barr, to decide on the literary quality of the books which the library would make available to its readers. This committee had been created to select the library’s books in the days before the Auckland Public Library had a qualified librarian in charge. Mr Barr was Auckland’s first qualified librarian. 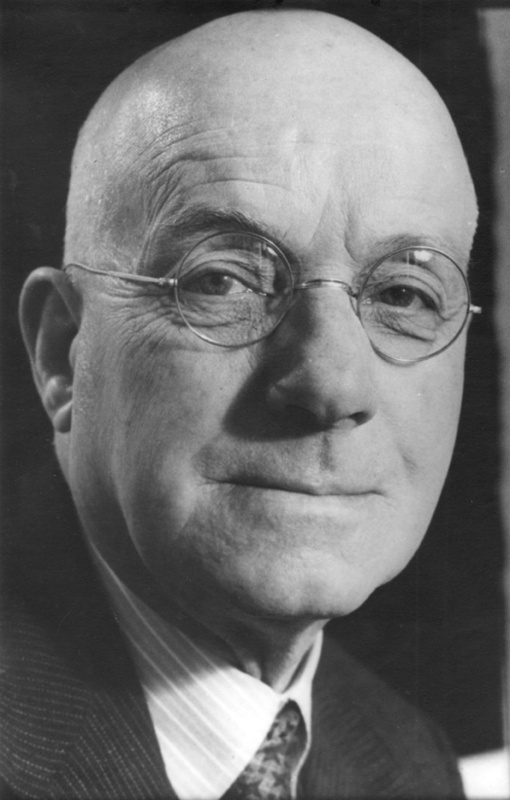 Ref: John Barr, City Librarian 1913-1952, Sir George Grey Special Collections, Auckland Libraries, 360-10. 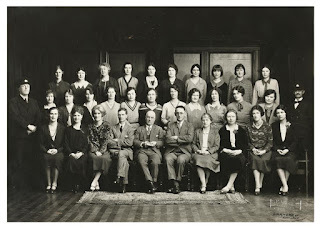 Ref: S P Andrew, Group portrait of the staff of the Auckland Public Library, 1930s?, Sir George Grey Special Collections, Auckland Libraries, 360-17. ‘Mr. Barr said that from 1000 to 1500 books were passed into the lending library each year. A novel need not be offensive to earn exclusion. Trash was rejected simply because it failed to measure up to literary standards. The widely-discussed German novel, Jew Suss, had been passed. It was not altogether free from a certain grossness but it had undoubted literary quality, and a fine historical vein. The novel Simon Called Peter had not reached the library shelves (but eventually made it), and the Tarzan series of stories had been rejected as ‘trash’. Ref: excerpt from the Otago Daily Times, 2 July 1929, page 10. In other words, the librarians seemed to take a lofty, elitist and basically prudish view about the kinds of people who might be tempted to read All Quiet on the Western Front. While they grudgingly conceded that the book dealt with a serious subject – that of war and the degrading effects of war, they were afraid that another type of casual, sensation-seeking and prurient reader would now seek to read the book solely because of its notoriety. Along with the sensation-seekers went uncritical and impressionable younger readers whom, the librarians feared would be easily corrupted by Remarque’s immorality and amorality. 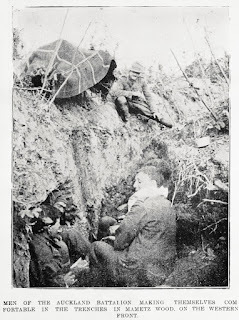 Ref: Auckland Weekly News, Men of the Auckland Battalion making themselves comfortable in the trenches in Mametz Wood, on the Western Front, 22 February 1917, Sir George Grey Special Collections, Auckland Libraries, AWNS-19170222-36-2. ‘It is a wonderful portrait, built up little by little, without a superlative. 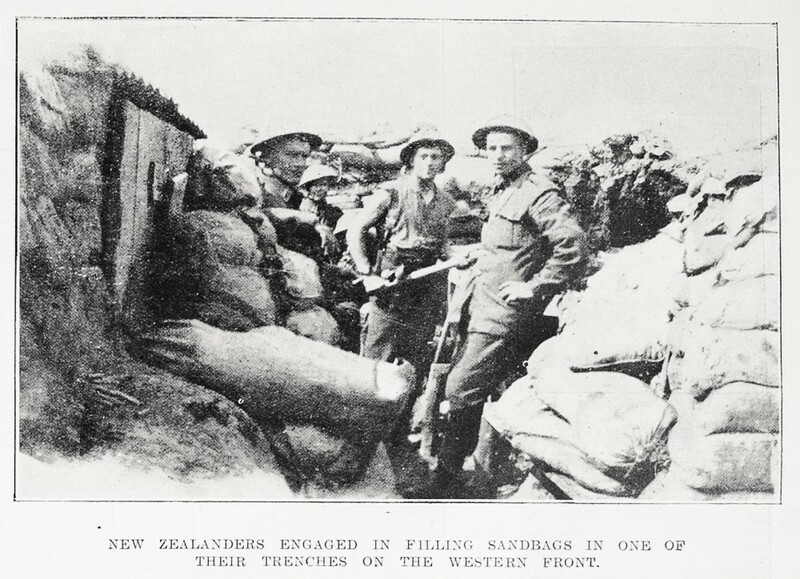 There emerges the ideal soldier - brave, steady, crafty, never excited, but never off his guard. We have had grim English war novels in which the wine of victory is represented as tasting bitter enough; but it is doubtful if we shall ever have one with a note so hopeless as that of the concluding chapters. That wine may to many have tasted bitter, but it could not have been so bitter as this vinegar of defeat. Ref: Sport and General for the Auckland Weekly News, Still they come, 12 July 1917, Sir George Grey Special Collections, Auckland Libraries, AWNS-19170712-31-2. 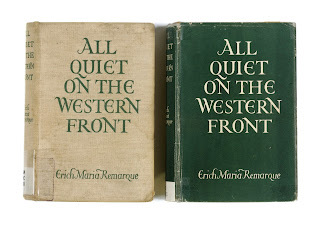 And at the far end of the country Mr. H. Greenwood, the librarian at the Dunedin Athenaeum (the mechanic’s institute private lending library), already had two copies of All Quiet on the Western Front in circulation. Furthermore, he reported that demand for the book was so great that the Athenaeum had ordered six more copies!